Farah Karim-Cooper asked us to write something for the Globe to Globe Hamlet site. Here it is. 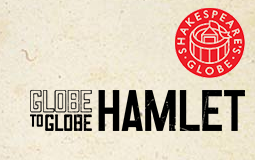 This entry was posted in Early Modern Drama, Shakespeare and tagged Hamlet, Shakespeare's Globe. Bookmark the permalink. Post a comment or leave a trackback: Trackback URL.